A London-based paintings conservator and technical art historian, Sarah Cove trained at the Courtauld Institute, the Victoria & Albert Museum and the National Portrait Gallery, London. She is a specialist in Tudor and Jacobean portraiture as well as 19th- and 20th-century British landscape painting. In this lecture, Sarah will discuss the painting methods of Tudor and Jacobean portrait painters, which originated in medieval manuscript illumination, miniature painting and northern European oil-painting techniques. She will outline the studio system of training apprentices and examine their meticulous paint handling, as well as looking at conservation issues facing such works. 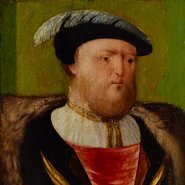 Sarah’s lecture will be followed by a short presentation by Art Gallery of NSW paintings conservator Simon Ives, who will discuss one of the Gallery’s most exciting current conservation projects, a portrait of Henry VIII.